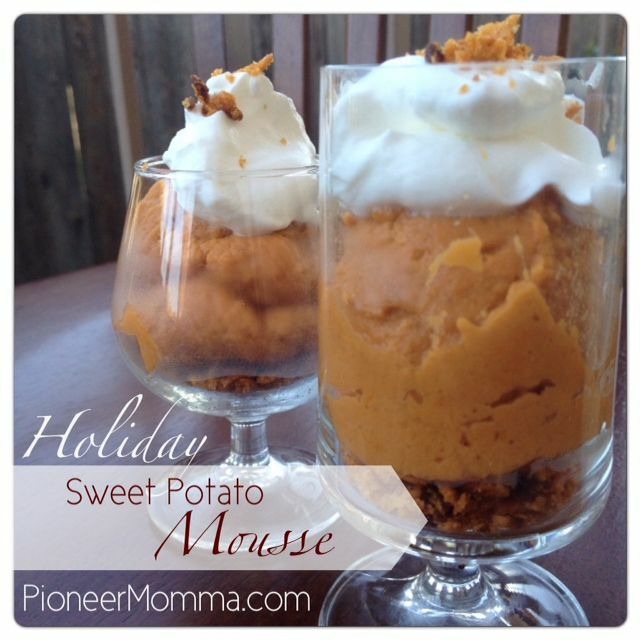 This week's feature is Holiday Sweet Potato Mousse from Pioneer Momma. Wouldn't this be perfect for Thanksgiving? Or really anytime during the holidays! To see how to re-create this, step-by-step, in your kitchen, head over and see this wonderful site. Thanks for the party Susan. I shared my new snack bite recipe. Our party The Southern Special is up and running, we'd love to have you stop by. Thanks for hosting. Hope you have a wonderful Thanksgiving. If you have time come over and link up with me too. I've started early today since it's a holiday week. Hi Susan, thanks so much for featuring my Holiday Sweet Potato Mousse Recipe! Very excited when I saw it :-) I'm already subscribed and following through most avenues, but just added in Pinterest and Twitter. I think that's every possible way now lol. Hope you have a wonderful Thanksgiving! Pumpkin Party - An eBook for You!